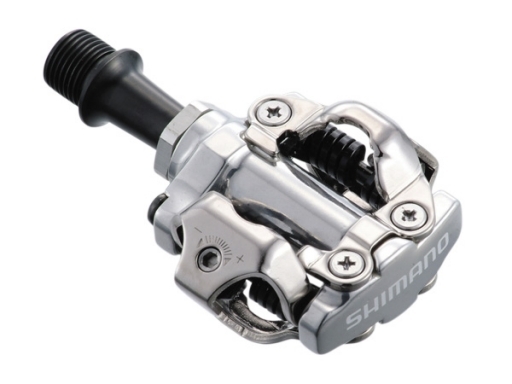 Shimano’s PD-M540 is a go-anywhere, do-anything SPD clipless pedal that is as durable as any pedals on the market. Features 4 degrees of rotation and has a tension adjuster to fine-tune your entry and exit to and from the pedals. Features a chrome-moly spindle and an aluminum pedal body for the ultimate in durability. Comes with a pair of Shimano SM-SH51 SPD cleats. Weighs 352 grams per pair.